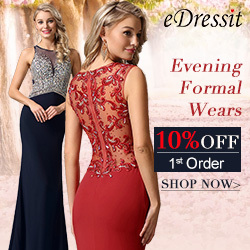 eDressit Fashion Blog: What Kinds of Graduation Dresses to Wear for Party? What Kinds of Graduation Dresses to Wear for Party? Here comes graduation season. On your graduation day, you'll be taking a ton -- and I mean dozens and dozens -- of photos. So, you should dress nicely and keep a happy girlish look. Graduation dresses need time to choose. So, today is not the day to sleep, but to pick out something conservative but still sassy to wear. You'll want to look like the mature adult you're about to become, but still look great and age-appropriate. Take the extra time to straighten or curl your hair, throw on a little concealer, and put your best face forward. This year, these 4 dresses choices are recommended to you to be elegant and sassy. Lace and Tulle Dresses: To be lithe, sassy, girlish and lovely. 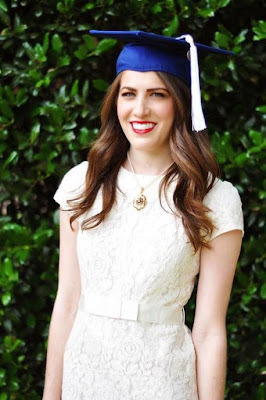 Vintage Tea Length Dresses: Must have dresses for graduation if you want to have an elegant look. Dresses With Prints: New dresses for graduation. Simple elegant design but sophisticated and versatile feelings and looks for you to try. Some of them are sweet, and some are gorgeous. Little Black Dresses: Ever classic outfits for party. Also, they are equipped with cool, intellectuality and femininity. 2. Step up your makeup and accessories. Now is definitely not the day to experiment with new looks, but it's not a bad idea to wear eyeliner, mascara, blush, and lipstick if you're comfortable with it. And you can wear some accessories to be perfect. This way, you'll look great in the far-away pictures your parents will take from the audience! Remember, your makeup and accessories should keep in coordination with your dress style. Generally, you can wear simple make-up and accessories. 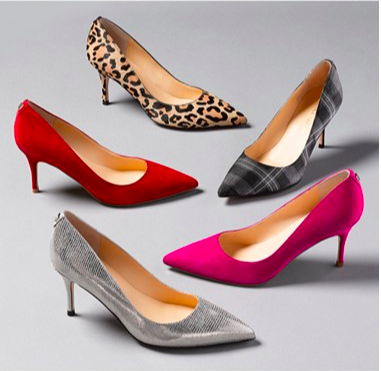 To match your dress, a pair of high-shoes are the must. I would recommend a pair of wedges or 2-3 inch heels, or less than 6 inch -- this way, you'll look great but still be able to walk the long distance they'll probably have you march. 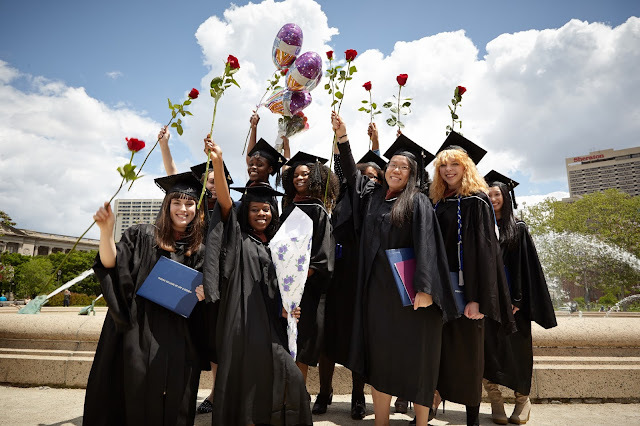 Be sure to break in your shoes and practice walking in them before the date arrives - the last thing you'd want to do is fall down or be uncomfortable during commencement! This way, you will look great, may be better than you imagined.